This is a must watch video, especially for those who are under the impression there is no voter fraud. AMERICA, WAKE UP AND PAY ATTENTION!!! Clinton campaign and DNC incite violence at Trump rallies.This is sick folks. For all of you people who think its Trump that incites violence, it in fact was Team Hillary Clinton. MANDATORY VOTING … IF YOU LIKE THE PERSON YOU VOTED FOR YOU CAN KEEP VOTING FOR THEM … YEAH, WE ALL KNOW HOW THAT WORKED OUT WITH MANDATORY HEALTH CARE, DON’T WE? Is Barack Obama an authoritarian fascist? One would think so with his recent comments where he floated the idea that voting should be mandatory in the United States. That is kind of comical coming from the man who could not find his way to vote as a state or federal Senator. Obama wants to making voting mandatory. What else id a wannabe King to do whose party did not show up in the last election, but make people vote. Obama calls it transformative, others would call it authoritarian. Exactly what part about the right to vote being a right doesn’t Obama understand? The right to vote is a form of free speech and you have both the right to vote or the right not to. But not with this fascist. But Obama does not have the best interest of America in mind when it comes to voting in the US, he would want people to be forced to vote who either, had no clue as to who or what was on the ballot or individuals who did not wish to volunteer in the process. 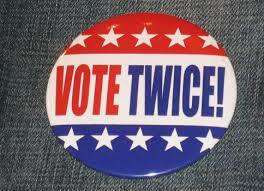 Of course Obama is against voter ID so that one can prove they are who they are to vote. 70% of Americans Support Voter ID Laws, Including 51% of Blacks … Why Are Democrats Lawmakers & Obama Against the Will of the American People and Preventing Voter Fraud? So I guess Democrat law makers and co-called Black leaders would tell you that 70% of Americans are racist. According to a recent Fox News Poll, 70% of Americans polled agree that there should be voter ID laws passed that required an valid state or federal photo identification in order to be allowed to vote. The survey found that a majority of every demographic supported such a law, including 91% of Republicans, 66% of Independents and even 55% of Democrats. However, many Democratic lawmakers, Black activists and organizations are opposed to strict voter identification laws, claiming they are largely unnecessary and discourage minority voting. They even claim those that would want such a law are hateful, racist and only looking to suppress the minority vote. Of course one needs a valid state or federal ID to cash a check, board an airplane, buy alcohol, obtain a driver’s license at the DMV, any banking transaction including opening an account, obtain SSI disability, buy a gun, donating blood, buy cigarettes, get a US passport, attain unemployment benefits, obtaining a carry gun permit, adopt a child and even buy Sudafed from your local pharmacy. But some how requiring one to do something as important as vote is a burden to minorities. Here is the money line to the poll, 51% of African Americans support voter ID laws, while 46% oppose the laws. Does this mean that the 51% of blacks are racist? The 70 percent who support voter ID laws remains largely unchanged in the past few years. Another 27 percent believe the laws are unnecessary. The issue has resurfaced recently as Sen. Rand Paul (R-Ky.) said Republicans should not go too crazy over the law because they are offending people, African-Americans in particular. He later clarified he believes the laws should not be a defining issue for Republicans, and they should be left up to the states to decide. A total of 31 states have active voter identification laws, while a handful of others have recently been struck down in state courts. Doesn’t make one wonder why when pretty much everything in this country requires a photo ID, including to buy, own and carry a gun (a right protected in the US Constitution) that making sure that there are fair elections with no fraud would be opposed by Democrats? So are they pro-voter fraud? But then again, this is coming from the party that is perfectly fine with letting illegals into the United States and then letting them out of jail after committing crimes. If individuals think that minorities cannot some how get a photo ID, maybe something needs to be looked into that as a problem, rather than calling voter ID laws racist. Enter Vice President Joe Biden using Martin Luther King Jr. Day as a vehicle to attack voter ID laws and comparing them to poll taxes and literacy tests. Because God forbid we taking voting more serious and want to know that fraud is not being committed more than using photo ID to buy alcohol, cash a check, enter your work place or get on a plane. Biden went on to tell the Al Sharpton crowd, need we say more, “This has been the ultimate fight because our opponents know the single most dangerous thing to give us is the right to vote. 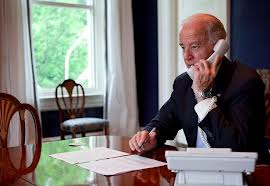 ” Hmm, speaking of literacy, does crazy Joe realize that we all do have the right to vote? I need what operator, a valid form of ID to get into the event, OK.
Vice President Joe Biden used Martin Luther King Jr. Day to launch an all-out attack on voter ID laws, which he implied were similar to poll taxes and literacy tests. The vice president went on to rip into the U.S. Supreme Court for weakening the Voting Rights Act. Biden told the Sharpton group they are doing “God’s work” and praised both King and President Lyndon B. Johnson, who signed both the 1964 Civil Rights Act and the 1965 Voting Rights Act into law.